Dry Eye Naples | Dry Eye Syndrome Marco Island | Barrett Ginsberg, M.D. Dry Eye Syndrome usually refers to a lack of moisture reaching the ocular surface or the tears that reach the ocular surface evaporate too quickly. 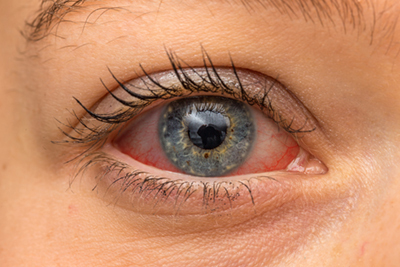 65% of patients with Dry Eye Syndrome symptoms have a condition called Meibomian Gland Dysfunction. These lubricating Meibomian Glands provide the protective oil layer that prevents tears from evaporating. With this condition, the glands can become obstructed and an inadequate amount of protective oil is present in your tears. Factors such as the environment, the aging process, hormonal changes, medications, inadequate blinking, poor diet, and systemic diseases can all play a significant role in reducing this moisture. Occasionally, Dry Eye Syndrome is related to underlying systemic conditions such as Rheumatoid Arthritis, Sjogren’s Syndrome, Sarcoidosis, Systemic Lupus Erythematosus, Parkinson’s Disease, Dementia and a multitude of autoimmune diseases.